Whether you need to bring something special to a potluck or festive dinner, or if you simply want to treat yourself, these incredibly easy coconut pralines are just the ticket. Don’t think of the standard pecan-based pralines when viewing this recipe. 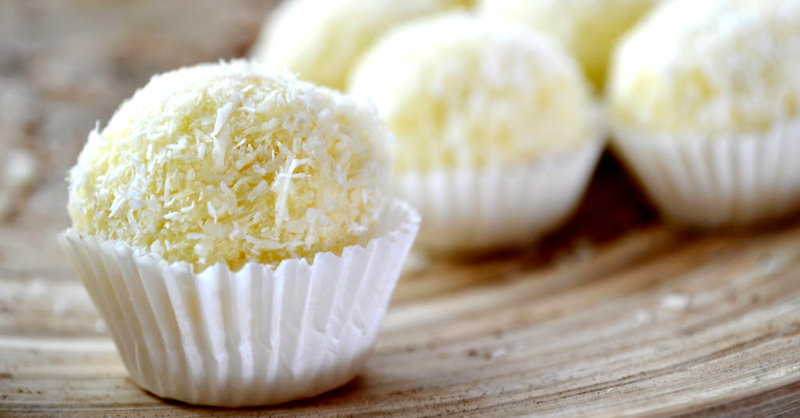 Instead, these are fluffy, sweet candies that combine sugar and coconut to heavenly effect. They require just a handful of ingredients, and you can whip them up in a few minutes. Serve this special New Orleans treat at any time of year! And guess what — one way you can make them extra special is by drizzling them with chocolate sauce. Another way is the way that my family loves: serving them with ice cream. We can’t get enough of this classic. If you love coconut and love being able to whip up a dessert in a matter of minutes that are just as perfect for bringing to parties as they are for popping into your mouth while you sit on the couch, these are for you. Regardless of which way you serve them, these are quick and delicious…win-win! Mix the sugar, coconut and milk in a heavy pot over medium heat. Boil, stirring constantly, until the mixture reaches the soft-ball stage. The mixture temperature should be 240 degrees Fahrenheit using a candy thermometer. Remove from the heat immediately. Stir in the butter and vanilla, and beat until the mixture is creamy and thick. Drop by the tablespoonful onto wax paper in mound shapes. Allow the pralines to cool completely before removing them from the wax paper using a knife.